What does a company do after building 700 homes? Build some more. Reaching that number is a hefty accomplishment for Ron Gustafson and Thom Reistad, who have been business partners since 1984. “Without a modular building system, I don’t think we could have done it,” said Reistad, who specializes in sales at Ideal Homes, their company in Superior, Wisconsin. He was referring to the houses they assemble from modules made on the Dynamic Homes production line in Detroit Lakes, Minn. Ideal Homes sells both manufactured and modular homes. Upon delivery, Gustafson, the hands-on partner, leads a crew that assembles those modules. 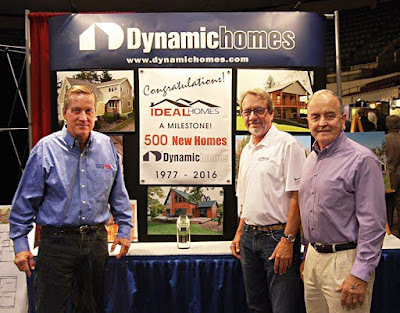 Gustafson’s affiliation with Dynamic went beyond one of their builders. When their business relationship was about 10 years old, he was asked to join the board of directors of the NASDAQ-listed public firm. Then in 1998, he and two other board members made a successful bid to purchase the firm. We often see this in other industries where one or more customers buy out their manufacturer and make it stronger. One day that may happen in the East Coast modular home industry but probably not until builders find themselves in a position where they could lose their business not through their own fault but because of their factory. To learn more about the idea of consolidation in the modular housing industry, read the following articls by Andy Gianino, the owner of The Home Store.